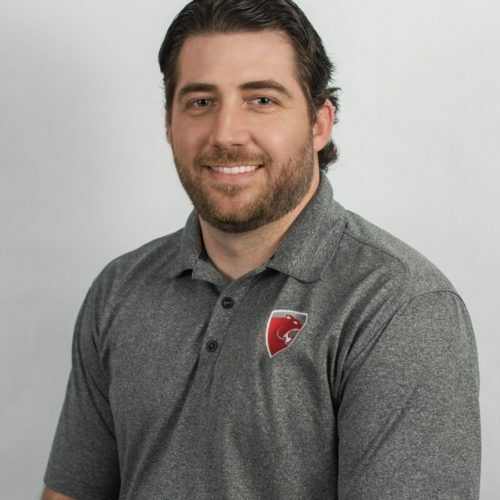 Tim is the company’s Chief Operating Officer and is responsible for overseeing all of Cougar’s production, warehouse, operations, and product offerings. As part of the leadership team, he plays a key role in strategic planning, as well managing all operational aspects of the company. Prior to joining Cougar, Tim worked in internal audit for a Fortune 500 company. Tim has been with Cougar since 2007, starting out in accounting and project management, learning all areas of the business with hands-on experience. He earned his B.B.A. in Finance from Texas A&M. He is a member of ASPE, ASHRAE, ACOE and Vistage, and is a Houston Atlassian User Group Leader. Tim is passionate about sports. He loves watching his favorite teams and is a Dynamo season ticket holder. He also enjoys teaching his son how to play sports. Tim likes to compete. Whether it be when playing soccer on his Houston Football Association team (United FC) or defending his title of first place in the neighborhood Christmas lights contest (13,000 bulbs! ), he enjoys a challenge!